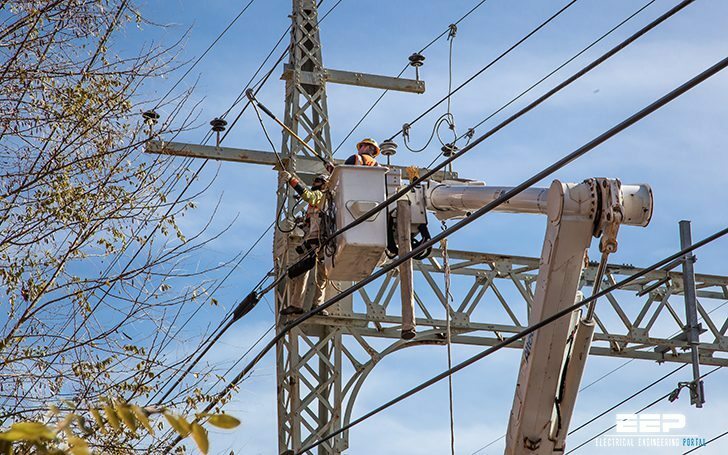 In older distribution systems the supply authority collects the bulk energy at 66 kV or less from the transmission substation. 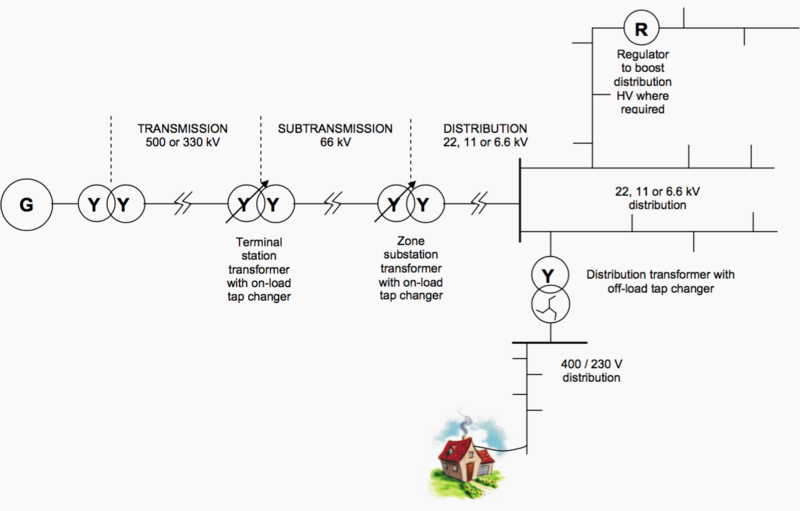 As indicated in Figure 1 below, there are specific voltage values used in the distribution of electrical power. These voltage values, which are all ‘line to line’ values are 66kV, 22kV, 11kV, 6.6kV and 400/230V. Some of these values are rarely used in public distribution networks but are common in private networks in large industrial sites (eg 3.3kV, 6.6kV). Considered in its most simple form, electric power distribution consists of two main elements: the retail function, or buying and selling of electrical energy and the distribution function, which is the transport and dissemination of the power. These functions have been recognised as being quite separate and financially separated from one another in the new competitive electricity market which has been set up in Australia in recent years. As electricity is not ‘stored’, many aspects of distribution are influenced by minimising the costs associated with the (instantaneous) ‘buy and sell’ operation. Environmental aspects of the system installation. For any given electrical load (in kVA), the higher the load voltage the lower will be the resultant current required. As it is the current flowing in the supply cabling which creates the voltage drop and the heating (I2R) loss, to minimise losses we try to keep the values of line current as low as possible. In this way the necessary distribution line voltage level can be determined, along with the resultant cost of constructing the line. This explains why bulk generation and transmission, where large quantities of power are produced in big ‘base-load’ generation stations and transmitted to major load centres, is done at very high voltages. 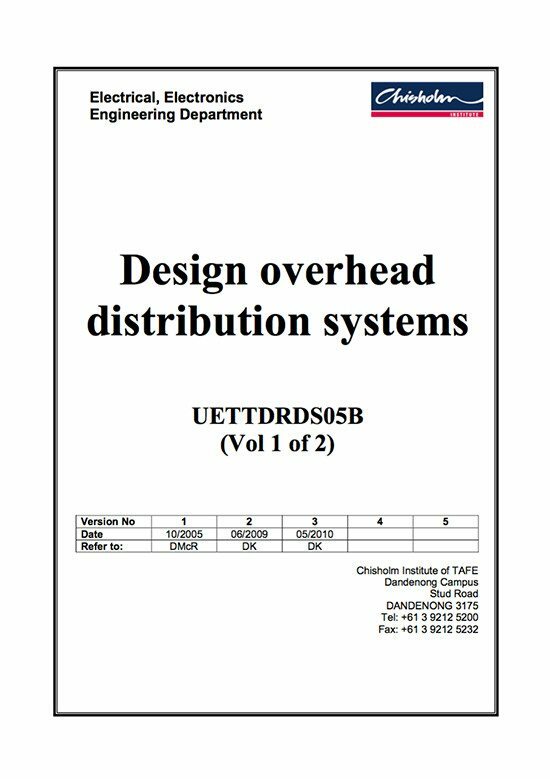 This also explains why, with the exception of the low voltage distribution network, where voltages are set at 230 volts single phase/400 volts three phase, the highest voltages practical are used throughout all distribution, subtransmission and transmission systems. Where is Vol. 2 of 2?